It looks like this is the best year for film buffs what with Kollywood churning out films and that too good ones with the most-wanted stars in the industry. The piece of information that we have here is sure going to please all the Surya fans far and wide. The die-hard fans of this heartthrob for many women across South India are eagerly hanging on to every minute tidbit that leaks on ‘7am Arivu,’ Surya’s next offing in the pipeline. Sources say that A.R. Murugadoss has brought in a villain from Vietnam, Johnny, to lock horns with Surya in ‘7am Arivu.’ It looks like the Tamil film industry will witness another sci-fi thriller after the magnanimity of ‘Robot’ with this film. The story of the film goes something like this: A foreigner comes to India. Along with him he brings a latest, state-of-the-art machine. Now this machine wrecks havoc to the characters of Surya and Shruthi Haasan. This is the one-liner of the film which is buzzing around Kollywood according to sources close to the film’s unit. But this one-liner is enough to feed the minds of Surya fans across the world. 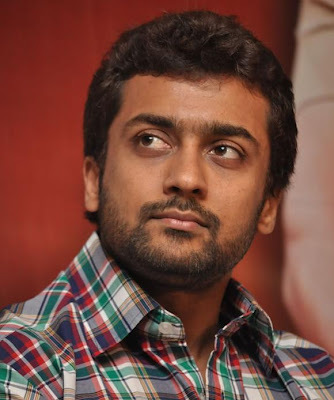 Now the expectations are high, and since Surya and Murugadoss are bonding with this film after their huge hit together, ‘Ghajini’ all eyes are on the actor-director pair for another hit. The director has promised that the film’s special effects will be on par with the ones seen in Hollywood because of technicians from there getting involved with this project.‘7am Arivu’ also boasts off hair-raising stunt sequences between the protagonist and the antagonist.